Saša Zor is an expert in the field of hotel management, congress tourism and sales, with years of experience in both domestic and foreign markets. She was appointed as a member of a supervisory board of the Slovenian Convention Bureau and to the Association of Slovenian hoteliers. Furthermore, she is an active member of management clubs and mentors students of postgraduate programmes. 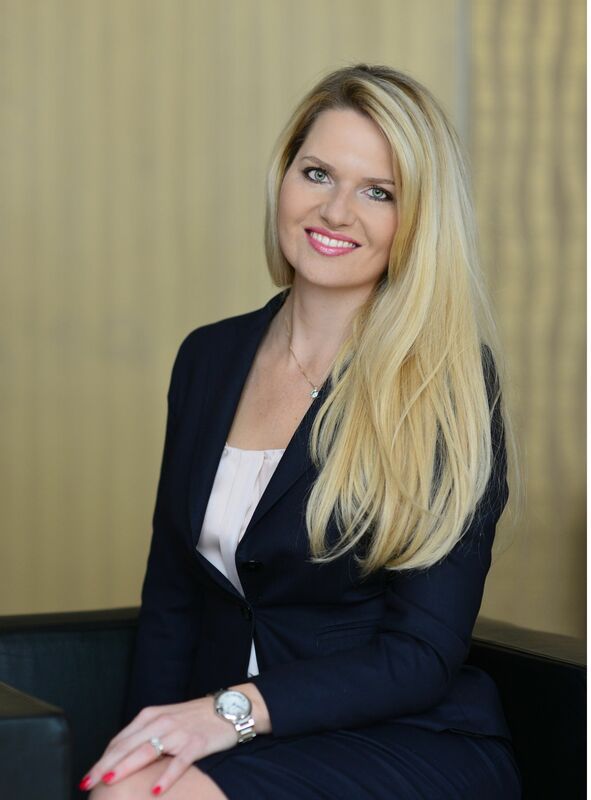 She is employed at Sava Tourism d.d., the largest tourism company in Slovenia, as Director of Sales with responsibility for meetings, congresses, and events. Q: What does it take to be a meetings star winner? To receive a meetings star award is another confirmation that our efforts are in the right direction. Although Sava Turizem gets the majority of its MICE business in its properties in Bled, we are extremely proud that our thermal spa hotels in the northeastern part of the country are also boosting recognition and delivering high performance. It is much harder to establish MICE infrastructure and offerings in destinations with a purely leisure focus than in the most renowned and developed Slovenian locations such as Ljubljana, Bled and Portorož, which is why these awards are even sweeter for us. We were able to connect local partners in Ptuj and Prekmurje with the aim of creating integral destination products and incentives that enrich our hotel offer. Clients who decide to host their events in thermal spa resorts do not search for conventional formats; they are open to our suggestions on how the surrounding countryside, cultural heritage and environmental specifics can work for them with the goal of attracting a large number of satisfied delegates to their event. It took some time, but now we are proud to offer such a wide spectrum of choices on how a single event can turn into an unforgettable story of success. Q: What are your biggest challenges? The Grand Hotel Primus and Livada Prestige are both located in thermal spa destinations and mainly attract leisure guests who come with their families for a holiday or to treat a specific medical condition. Combining different guest structures in a single property is a huge challenge that exists in hotels like this all over the world. With lower recognition, there also comes a lower understanding of the MICE business, which means that a single impulse would require more time to develop into action. On the other hand, such a non-commercialized position always leads to the most genuine experiences and I can say from the heart that there are no better hosts than those from Prekmurje, where you are treated as a friend rather than a guest. A presence on social media is not a choice anymore – it has become a must. Besides, it is the least expensive way to interact with acquaintances, colleagues in the field and even business partners if you use it smartly and with caution. Sava Hotels & Resorts as an umbrella brand has a profile on Facebook, Instagram, twitter and LinkedIn. Besides this, we run separate communication for our strong sub-brands – the ones dedicated to specific hotels. We also operate within the brand “Meetings with character” with a focus on the MICE segment, where our followers can keep track of current events, our marketing activities, special offers etc. Q: How do you best motivate your staff? Firstly, my aim is to lead by example – to show dedication, inspiration, passion, professionalism and a positive, can-do attitude every day of the year. I also strive for constant, fluid and sincere communication, not avoiding being personable. Micromanagement is definitely not my style – I trust my team 100% and if a mistake is made, we take responsibility, learn from it and move on. I also find transparency crucial, as it establishes a stronger level of trust. The strongest motivation trigger and creativity booster within our team is a visit to some good practice – be it a hotel or a restaurant, locally or abroad, where we can enjoy each other’s company from an educational and networking point of view. Q: Which other hotels do you admire? I basically admire every hotel that succeeds in making a personalised, tailor-made experience, providing its guests with the highest quality service possible. Attention to detail matters most in the hospitality industry, and although it is the infrastructure that makes the first impression, it is a hospitable service that delivers the last. I like hotels with a soul, where you can feel the stories etched behind the walls. To be more specific, I am extremely passionate about world-renowned luxurious hotel brands, especially those focusing on a business clientele. Wherever I go, I seize the chance to inspect the latest trendy hotels or those with a special concept, attracting certain niches, possessing a signature infrastructure or following unconventional communication tactics. In two words, my guarantee for the perfect holiday retreat is always “Four Seasons”, while Intercontinental Hotels & Resorts provides the highest quality standards. Digital Version of an actual issue can be reached here!